Pomery Natural Stone Limited, formed in 1996, provides high quality materials to the construction industry. 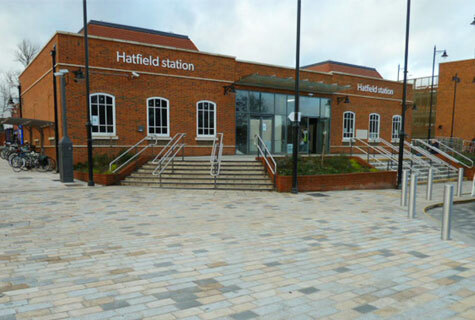 Materials are supplied for external paving, internal flooring, pedestrianisation schemes, traffic calming, landscape design, cladding and building works. We at P.N.S. have been assisting clients within the stone industry with a personal service since 1996 and we are proud of our reputation. Company personnel have worked in Construction since the 1980s. At any one time the Company has a stock of granite landscaping materials of approx 1000 tonnes in UK depots for prompt delivery. About half of all items supplied are bespoke, made to order. The Company has been supplying UK Yorkstone and Limestone plus granite and a wide variety of other stones from European and Worldwide sources since 1996. Delivery includes all UK and Ireland. These include Landscape Architects, Civil Engineering contractors, Local Authorities, Stone and Builders Merchants, Engineers, Quantity Surveyors and Consultants. 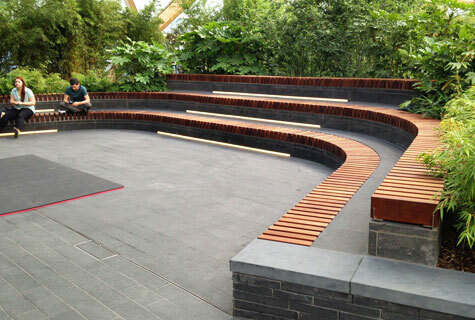 Contact us when considering materials for Hard Landscaping and other projects and tap in to a wealth of experience in material selection, technical standards, processing and finishes, all helping you to achieve the best results. Over 1500 M2 of top quality flamed Black Zimbabwe paving, cladding and skirting was supplied to the new Crossrail Station complex. The development includes extending the existing station and providing a major bus interchange, taxi rank, drop-off area, multistorey carpark and landscaped public square. © 2016 Pomery Natural Stone Ltd. All rights reserved.